Since Fantastic Beasts hit theatres today I thought I would show you a Harry Potter inspired gift I gave to my friend for her birthday. I grew up a part of the Harry Potter generation and as a result I love anything to do with Harry Potter and so do most of my friends. I saw a soap rock in Anthropologie once and it reminded me of the sorcerer's stone. The idea played out from there. The gift includes seven items. One item to represent each book. 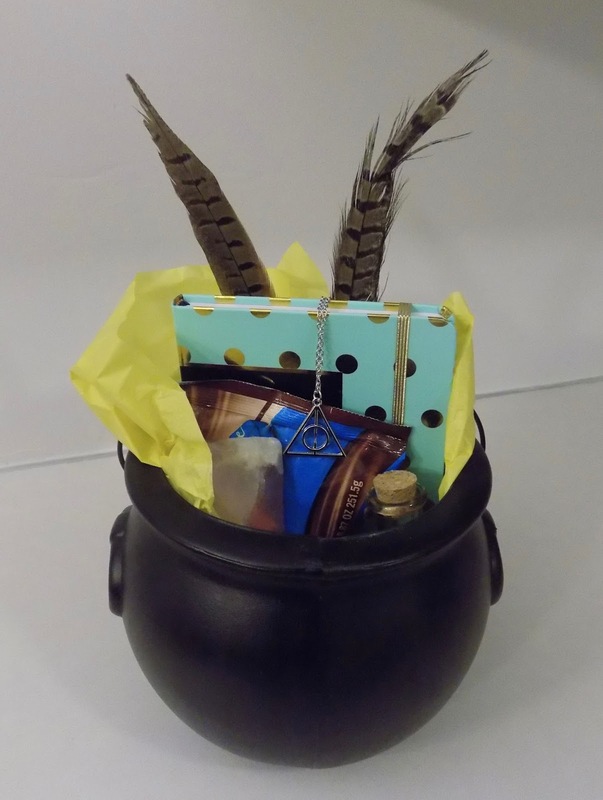 I placed all of the items into a cauldron and added some tissue paper. 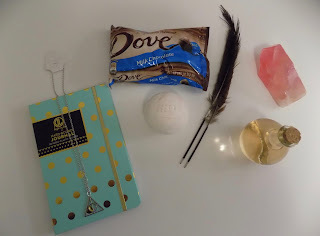 I though it was a fun girly gift and my friend loved it!